Using a longitudinal panel study approach, this research examined the effects of social media use and internet connectedness on academic performance and on perceived social support. Results showed that, after controlling demographics and overall grades at Time 1, individual-level change in overall grades over the year that followed was attributable to Facebook, blogs, and online game use but not to internet connectedness. Results suggest that heavy Facebook use has a positive effect on overall grades, while heavy use of blogs and online games leads to grade impairment. In the case of academic competence and perceived social support, individual-level change over the year that followed was only attributable to Facebook use. Implications, limitations, and directions for future research are discussed. Social media is a group of internet-based applications that build on the technological foundations of Web 2.0, allowing the creation and exchange of user-generated content. Social media takes on many different forms, involving both web-based and mobile technologies, including internet forums, instant messaging (IM), social networking services (SNS), and microblogs, to name but a few. According to the Pew Internet Project, 95% of teens aged 12 to 17 in the U.S. are online, of which 76% use SNS and 77% have cell phones (Madden, 2011). By 2013, there were approximately 1.11 billion unique visitors on Facebook worldwide (Smith, 2013). In China, the Internet population has reached 564 million in 2013, of which 24 percent were between the age of 10 and 19 (China Internet Network Information Center, 2013). Today, new applications in social media (such as Facebook, IM, blogs, Twitter, YouTube, and online games) are well-accepted as the preferred tools for communication among students. However, despite internet researchers have investigated diverse issues such as internet addiction, cyber bullying, sexting, and internet risks and safety on children and adolescents (Leung & Lee, 2012; Livingstone, Haddon, Görzig, & Ólafsson, 2011; Young, 1998), effects of social media on school performance and social relationships have been underexplored. Chen, Shen, & Ma (2012) found that players prefer SNS games to other types of games; Lee, Hsu, & Chang (2013) reported that sociability was the best design strategy for designing educational massively multiplayer online role-playing game (MMORPGs); and Ellison, Steinfield, & Lampe (2007) examined the benefits of Facebook on social capital among college students. 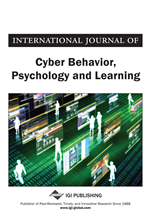 Previous research also suggested that some college students’ academic performance might be impaired by heavier use of the internet (Jackson, Eye, Witt, Zhao, & Fitzgerald, 2011; Kubey, Lavin, & Barrows, 2001) and impaired academic performance was associated with greater use of synchronous communication applications such as chat rooms and multi-user dungeons (MUDs), as opposed to asynchronous applications such as email and newsgroups. To fill the gap in this line of research, this study examines the impacts of four commonly used social media platforms among adolescents and children (namely Facebook, blogs, IM, and online games) and the degree to which adolescents are connected to the internet on academic performance and social support. To date, one limitation in this area of research is the lack of longitudinal methods to help establish causal relationships and strengthen the findings of existing cross-sectional reports. This study goes beyond examining the level of social media use and tries to assess the dimensions in internet connectedness (such as years connected, broadband/WiFi access, scope, intensity, goal, and dependency on internet use) that adolescents experienced and the impacts of these dimensions on academic performance and perceived social support. Knowledge of these findings can help parents and educators detect and assess impact of social media among children and adolescents in order to intervene appropriately at an early stage if detrimental use of social media is found.